CBS shareholders are enjoying a modest Wall Street boost on Thursday morning, as the network moves toward a potential buyout of Les Moonves, the chief executive who led the company for the last 15 years but is weathering accusations of sexual misconduct. CBS shares increased 1.3 percent in early trading, pushing to $53.67 a share. The company has hovered near that mark for the last week, but has dropped 7 percent since a July New Yorker story detailed accusations from four women who said Moonves forcibly touched or kissed them during business meetings, and two women who said he physically intimidated them or threatened to derail their careers. 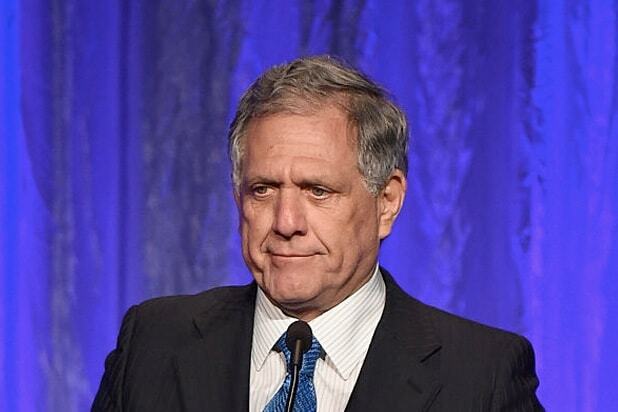 The CBS board is currently in “deep” negotiations with Moonves to exit the company, CNBC’s David Faber reported on Thursday. “The board of directors of CBS is deep in settlement talks with the company CEO Leslie Moonves that would result in his exit,” Faber wrote. Such a departure would make CBS COO Joe Ianniello the publicly traded company’s interim CEO, a person with knowledge of the succession plan told TheWrap. It would not be a cheap move for CBS. Under his contract, Moonves is due $180 million in severance, plus a production deal, according to Faber. The board is currently offering him a package worth roughly $100 million, which would mostly consist of company stock, Faber reported. This comes on the heels of CBS and National Amusements, Shari Redstone’s family company, attempting to reach a settlement in their messy, public legal dispute over control of the network. The two sides would like to avoid heading to trial, which is expected to begin Oct. 3, according to an individual familiar with the talks who spoke with TheWrap on Wednesday. Members of the CBS board and representatives for National Amusements met over Labor Day weekend, but, according to the individual, however, neither a settlement with NAI or a Moonves exit announcement is expected to happen imminently. Tony Maglio and Trey Williams contributed to this report.